The Inspector General of Police, IGP, Ibrahim Idris has criticised police personnel for not being vigilant enough which explains why they are being abducted. He described the situation of the recent kidnap of the Divisional Police Officer, DPO in charge of Sarkin Pawa in Niger State as “embarrassing and annoying”. The IGP made this known in Abuja on Wednesday during a meeting with commissioners of police and other senior officers. 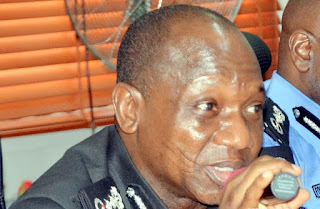 A report in the Nation newspaper said Amos Aliyu, a Superintendent of Police was abducted on Sunday near his home at Turin Fulani by unidentified persons. Mr. Idris, at the meeting, told the senior officers that they would be held accountable if any evil befalls their subordinates. “There should be more visibility policing. Policemen should be deployed to flashpoint areas to take care of security because the presence of police in those areas would help in the reduction of crime. “We must take the protection of our officers seriously. We have a problem. Two days ago, one of our DPOs was kidnapped. How can you be a DPO, you have all the policemen under your command and then you start driving as if you don’t have anybody. “You allow the ‘useless kidnappers’ to pick you and your orderly, it is very embarrassing. We had the same issue in Zamfara state where an ACP going on leave travelled alone. It is embarrassing,” Mr. Idris said. “Utilise the men you have and you must protect yourself first. You can only protect others when you are protected because you are a target. “We should be careful in our movement. If you notice that an area is not safe, you should deploy men in those areas. We should take their protection very seriously. Our policemen should also be careful with the way they move around,” he added. The police chief also said relevant laws enacted by the government aimed at curbing kidnapping were welcome.